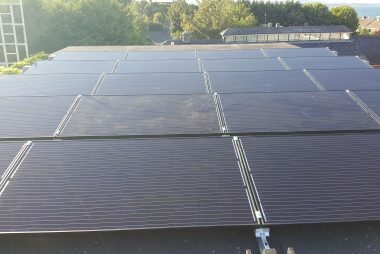 Enerpower Install Solar Panels at Flahavans Porridge Factory, Waterford. 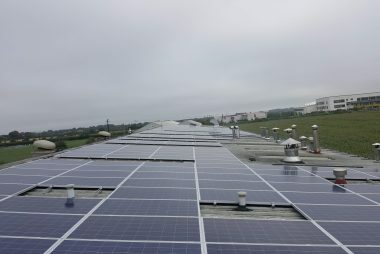 Enerpower, renewable energy specialists based in Waterford have recently completed a commercial solar panel installation on the roof of Waterford based company Flahavan’s Porridge. 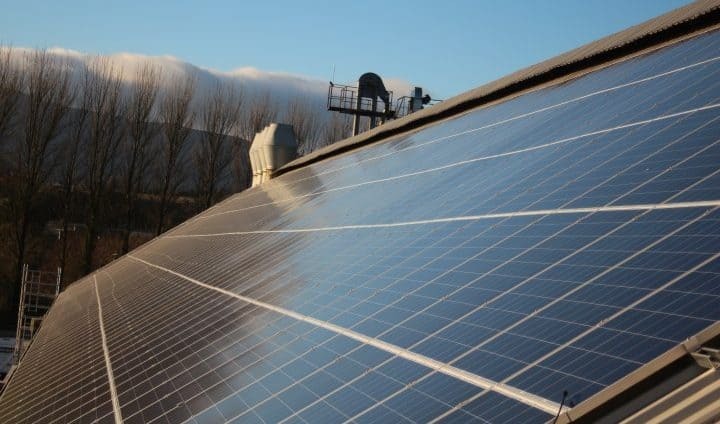 At the family owned, Flahavans Porridge company, Enerpower installed a 130kwp rooftop mounted Solar Photo Voltaic system allowing Flahavans to reduce their energy consumption significantly on an ongoing basis for the future. Given their commitment and focus on renewable energy, changes in electricity prices will not affect Flahavans. 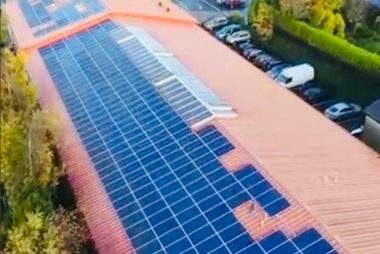 This 130Kwp rooftop mount Solar Photo Voltaic system will generate up to 130,000 kwh of renewable electricity per year We installed solar panels which will provide optimum performance and guarantee a long life. The double-walled black aluminum frame gives the panels extra strength. This makes the panels very resistant to both high wind load and heavy snow load. This project shows how a commercial solar panel installation is commercially viable for Irish businesses looking to consolidate their future expenses when it comes to energy. Located in Co. Waterford, Flahavan’s a family business has been producing quality oats since 1785. Every day 120 tonnes of porridge oats are milled at Flahavans’ factory where 54 workers deliver breakfast to millions of tables around the world. If you would like to generate renewable energy for your business, and be financially rewarded for doing so, contact Enerpower on 051 364 054. We will carry our a detailed survey at your property and offer you a bespoke solution that suits your business.